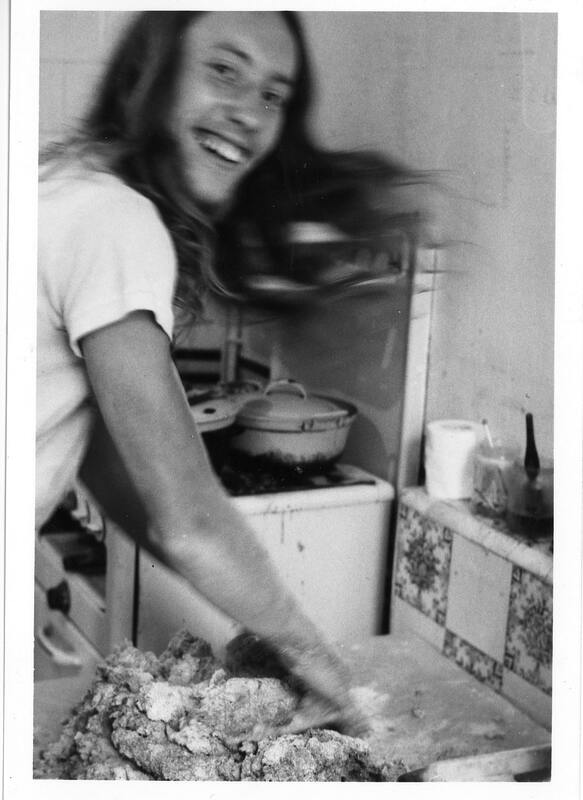 Back in 1970, two friends – Ian Loeffler and Peter Deadman – opened a macrobiotic café at the University of Sussex called “Biting Through” which led to a demand for the ingredients they were using in their cooking. 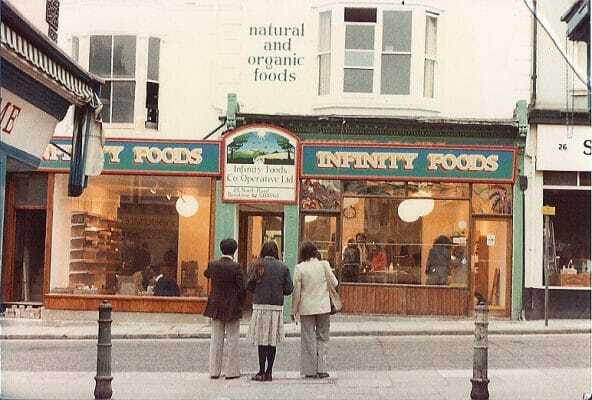 The following year, Peter, along with Jenny Deadman & Robin Bines opened a small shop called Infinity Foods in a converted terraced house in Church Street. 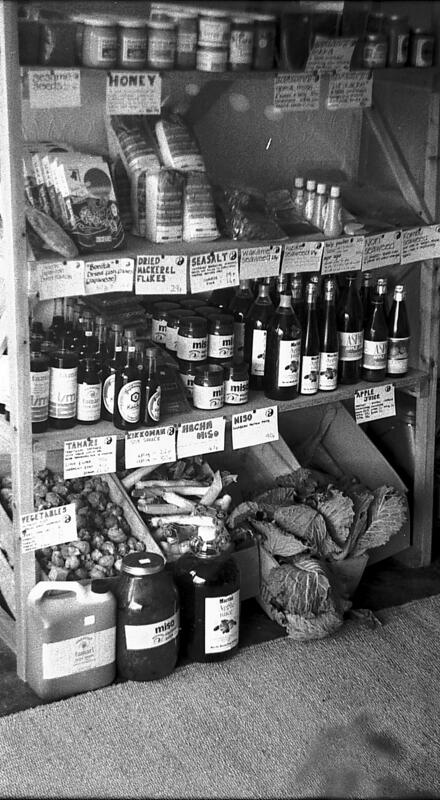 Here they sold basic vegetarian whole foods and freshly baked products. 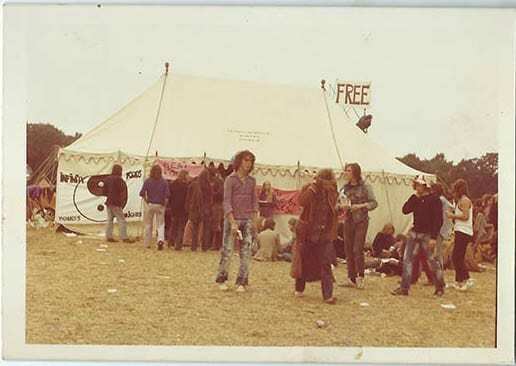 Initially business was slow and to supplement the income they took to festival catering, starting with the first Glastonbury festival. 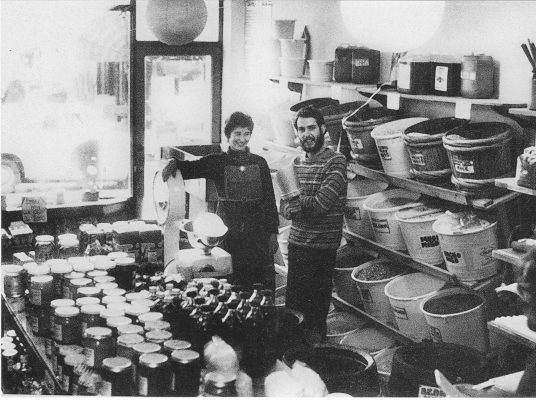 Business grew and grew and by 1973, the business needed to expand and it moved to its current site in North Road. 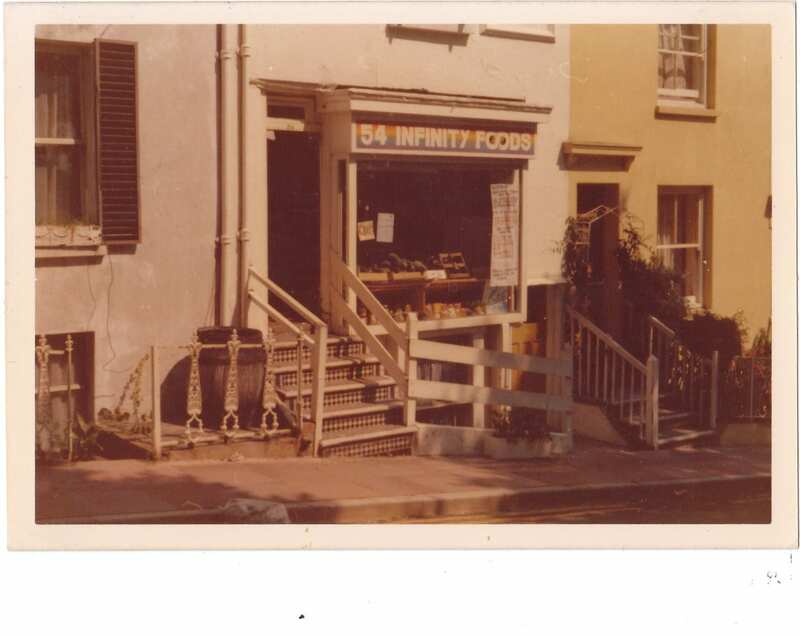 Three years later, the company took on an adjoining shop and opened a bakery. 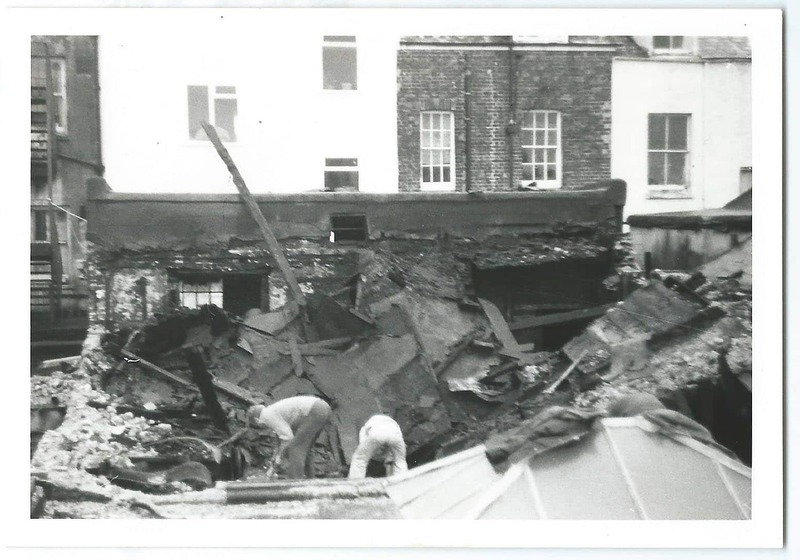 The wholesale business also began from the back of the shop as a cash and carry. 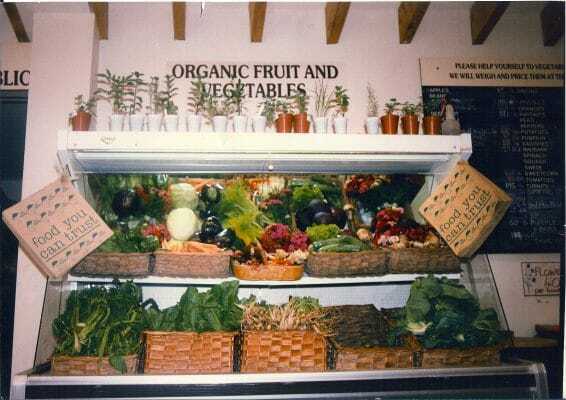 There was even a small market garden to supply the shop with organic fruit and veg. 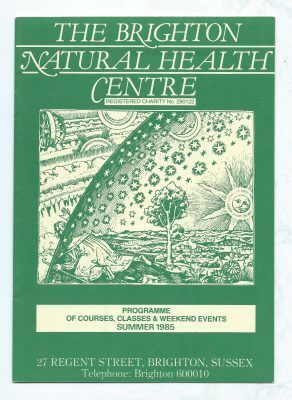 A large fire which destroyed the warehouse actually created an opportunity for expansion, with the company again taking on more room at the back of the building with some of the space being used to house and open the Brighton Natural Health Centre, now a registered charity. 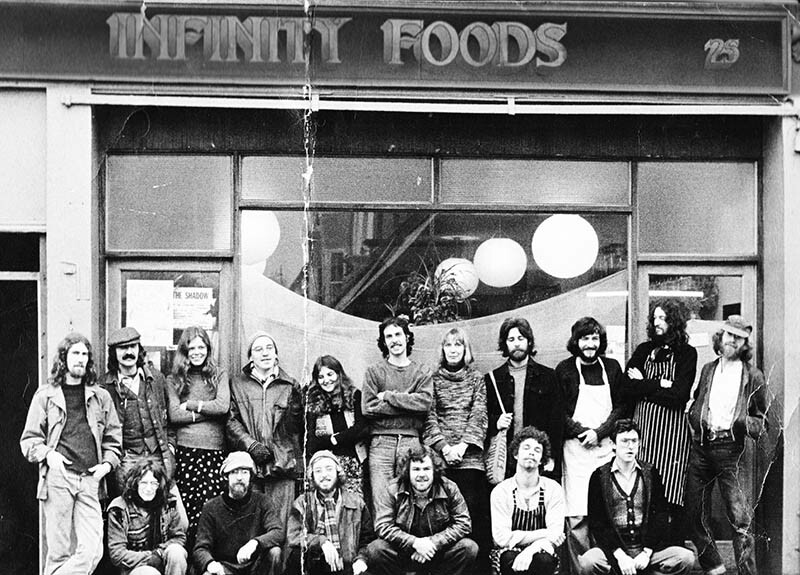 Infinity Foods had for many years run informally as a co-operative. 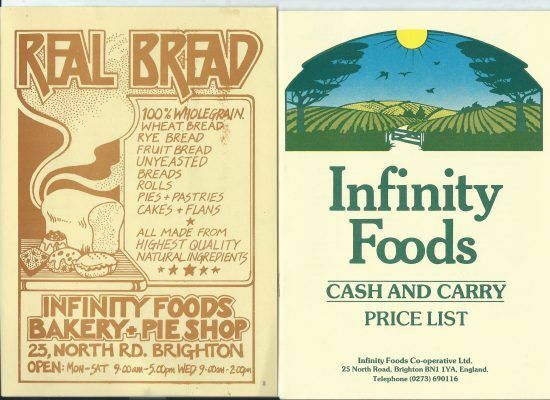 However in 1979 this was formalised and Infinity was established as a legal entity under Industrial Common Ownership rules, and the three partners, Peter, Jenny and Robin gave away the business to the co-op. 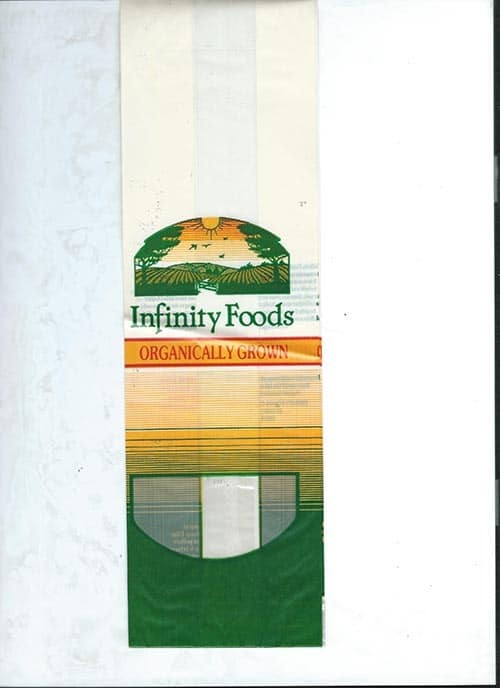 Infinity Foods cooperative Ltd was born. From this point onwards the company was owned and run collectively by the workers of the company. 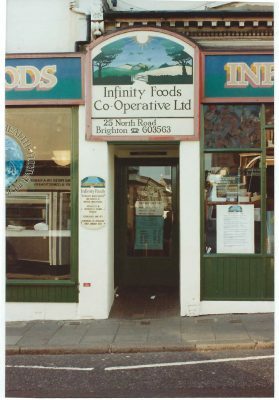 During the 80's the democratic co-operative approach to running the company enabled to business to flourish and in 1984, the shop and bakery merged into one larger shop. 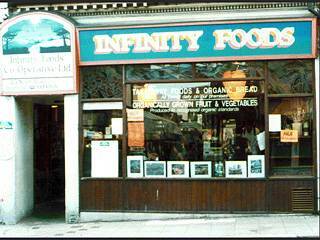 Starting from the small stockroom area at back of the shop, Infinity also revived its wholesale arm supplying other outlets with Infinity produce and by the mid 80’s the demand for this had outgrown the space. 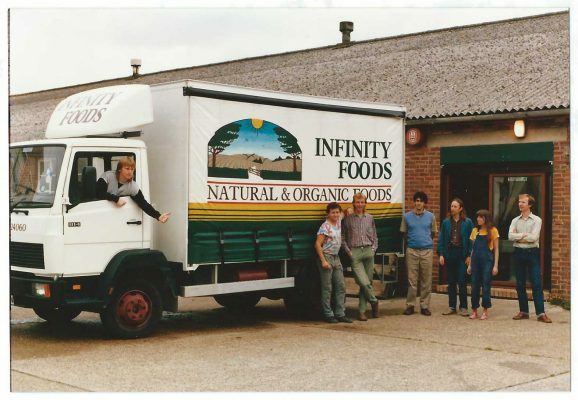 In 1985 a group of members located new premises and founded Infinity Foods wholesale cooperative. 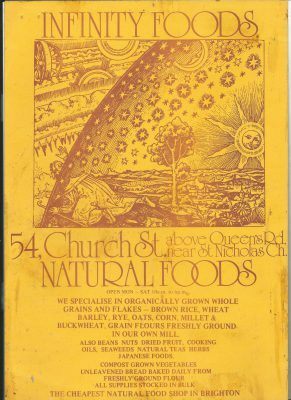 By the 90s people's attitudes surrounding food and its production had changed enormously, with a far greater awareness of the implications of all our actions. Our core principles of sourcing locally grown, organic, non-GM, fair-trade foods became matched by the increasing demand for these same foods from our customers. 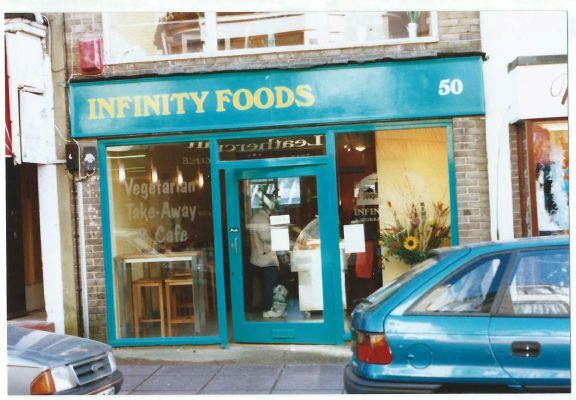 As a result of this, the shop continued to flourish over this decade and in 1998 the Infinity Foods Café opened just around the corner from the North Road shop, in Gardner Street. 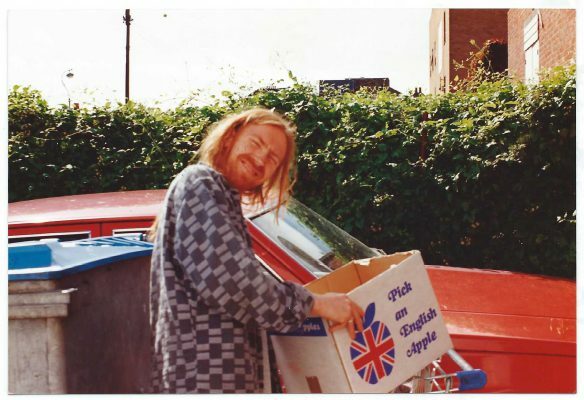 The café has been serving up delicious, wholesome and organic vegetarian cuisine to enthusiastic and hungry Brighton appetites ever since. The new millennium brought a new wave of consciousness. 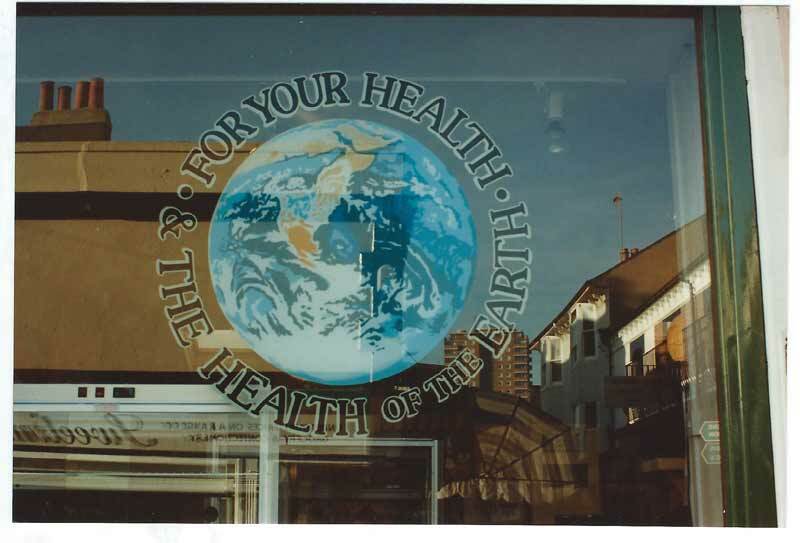 As people’s awareness of ethical purchasing grew, it was clear that to keep up with demand we needed a bigger shop. 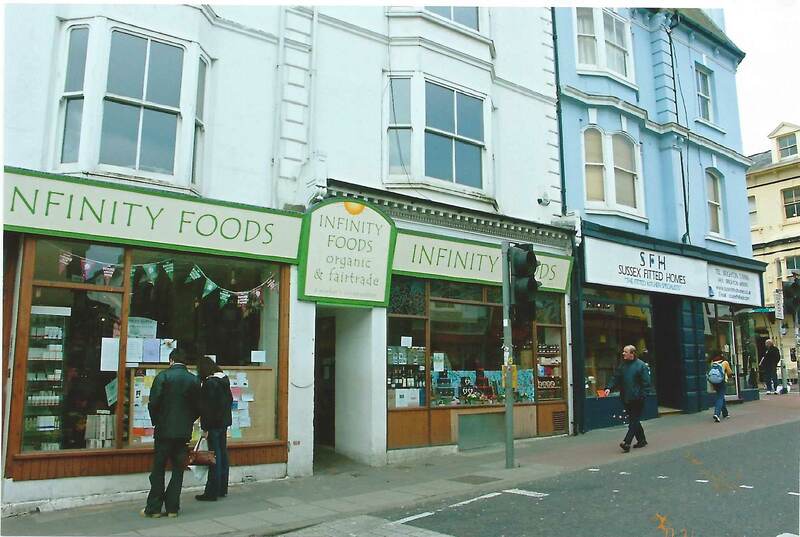 In 2007 we expanded, continuing the shop round the corner into Gardner Street. 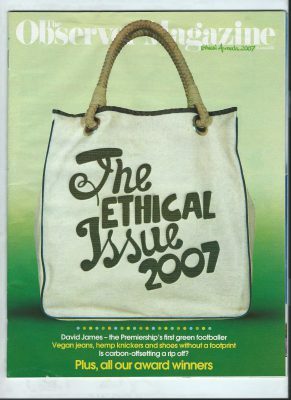 That same year we were awarded "Best Local Retailer" in The Observer Ethical Awards. This award sparked a winning streak and in 2008 we also won ‘Best Large Organic Shop’ at the Natural and Organic awards, a ‘Responsible Business’ award from the Brighton and Hove Business awards, and also ‘Vision in Organic & Natural Food Retailing’ at the Natural Trade Show Brighton Organic Awards. 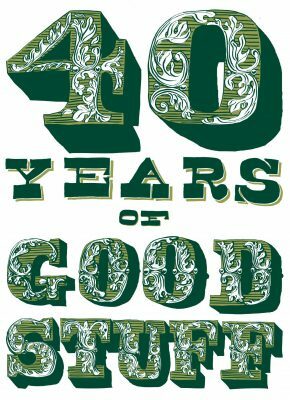 In 2009 we were recognised for our huge range of vegan products and were awarded Best Vegan Shop at Vegfest, and the following years saw us being awarded Best Food Shop in the Brighton & Hove Foodie Awards 2010, ’11, ’12 and ’13. In 2014 we were recognised at Viva!s 20th Anniversary awards as Best Shop for Vegetarians and Vegans (SE). 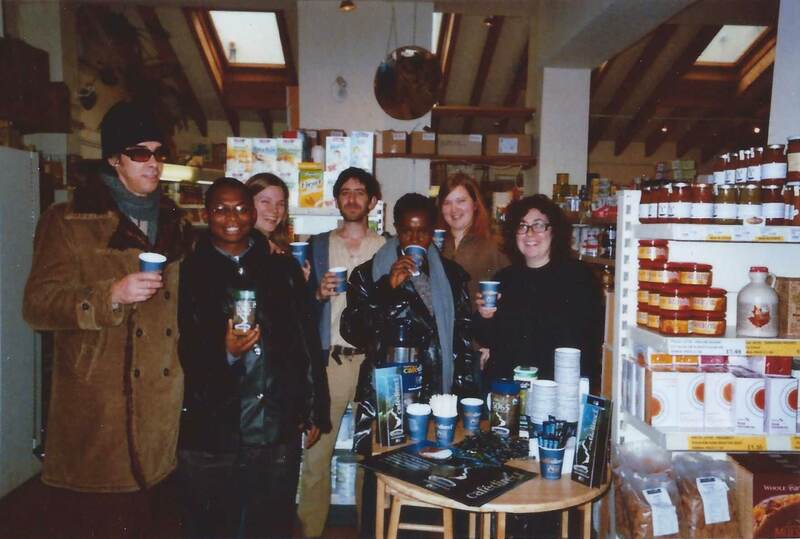 In 2011 we celebrated our 40th birthday and hosted a day of celebrations for all our generations of loyal customers. 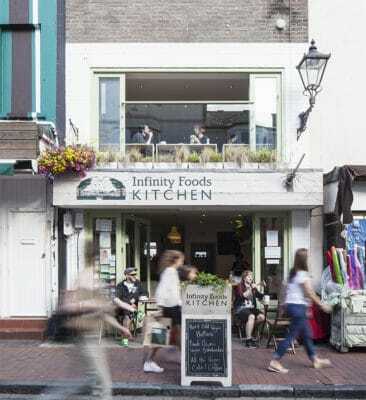 We recently renovated our beloved café, rebranding as Infinity Foods Kitchen in 2015. We recently also won Gold in The Brighton and Hove Food and Drink awards for Best Sustainable Business, and Silver for Best Food/Drink Shop.